I listened to a lecture this weekend by Dr. John Douillard, an Ayurvedic practitioner whom I really enjoy listening to. The main take away I got from his talk was on the importance of a well functioning lymphatic system. In Ayurveda the lymphatic system is the first system to be addressed, as it relates to your body’s ability to care for itself. 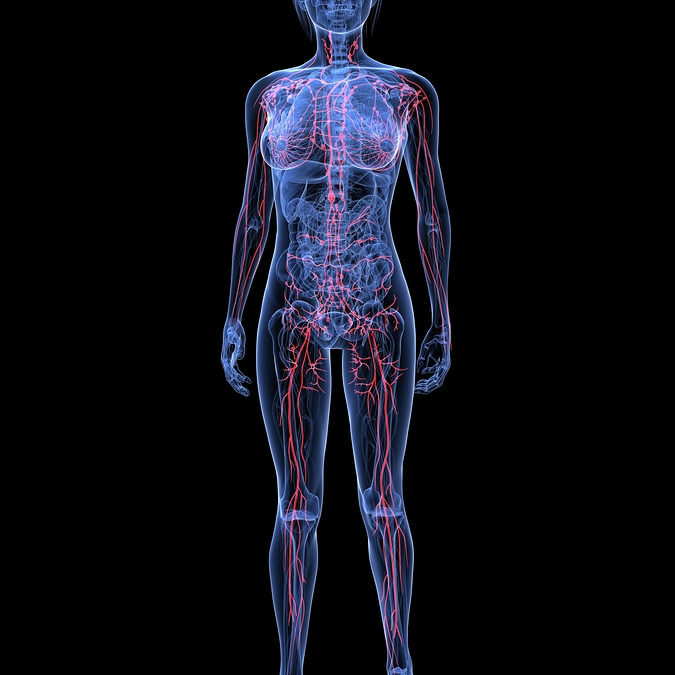 The lymph is the largest circulatory system in your body and is responsible for draining waste from your body. He mentioned how this critical system is generally overlooked in Westernized medicine until it is too late (and things like cancer take hold). Too much focus is spent on the health of your blood, which is, in fact, a direct reflection of the health of your lymphatic system. If Westernized doctors find something wrong in your blood then effort is taken to lower this factor, instead of looking to the cause of this imbalance — a backed up lymphatic system. As mentioned, in a natural healing journey, your lymphatic system should be addressed first. John describes these as the “drains” in the body. If the drains get backed up then gunk gets stuck and builds up in your body. I’ve had swollen glands in my neck for a long time…. dating back to a really bad episode of mono (glandular fever) when I was a teenager. I also have swollen glands near my reproductive organs. I’ve asked about these issues with various doctors throughout my life and they’ve always just been shrugged off. Now that I’ve been educated more on this issue — I am going to shift focus to clearing my “drains”. In addition to John’s suggestions above, I’ve read that jumping is good for clearing your lymphatic system. This can easily be done for 5-10 minutes each day on a rebounder or with a jump rope. What about you? Have you tried any of the suggestions to get the lymphatic system moving? Or have any other suggestions to share? I’d love to hear from you. I also loved his lecture. I grew up learning about ayurveda so many of his concepts were not new to me, but it was important to hear. I have been told by ayurvedic doctors it’s really important to eat a light dinner (Douillard also said this), lunch should be the big meal of the day, and dinner should be very light, soup or vegetables. I have a hard time with this, but want to do this! That’s awesome that you grew up learning about Ayurveda. I love the concepts and rationality — keeps pulling me in 🙂 I have heard this about the meals as well and do my best to incorporate this way of eating. I’ve also been experimenting with eating three meals a day — skipping the snacks. From personal experience I can tell you that this is 100% true. I have struggled with hormonal issues for a long time and went 2 years without a true menstrual period. Yet, when I started getting lymphatic drainage massages I IMMEDIATELY saw an impact. Literally–the next morning the massage caused me to begin menstruating. Three different times in a row. I truly wish that this information was more prevalent in conventional medicine as I only stumbled upon this discovery. Hi Kristina – Thanks for sharing your experience and success. I watched a demonstration on lymphatic drainage massage and can see how this would be very helpful. Good to hear that it worked!